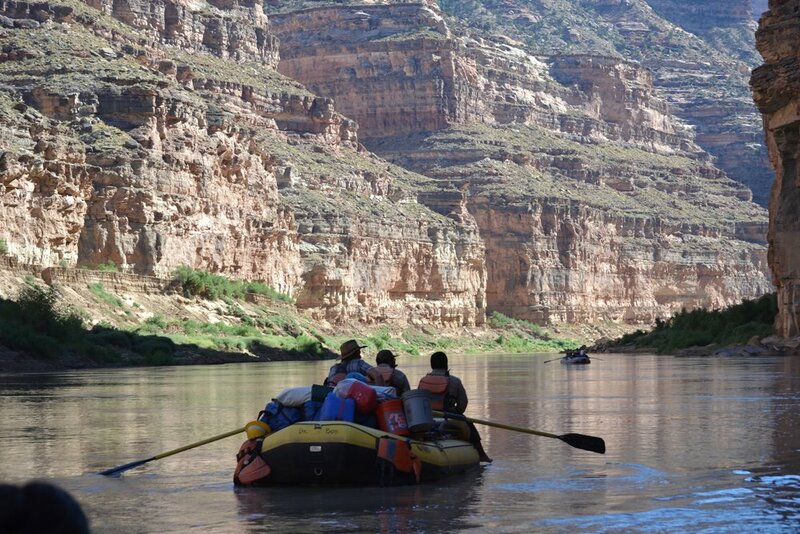 Volunteers from the CAN'D AID Foundation (of Oskar Blues Brewing) will join us for a day of rafting on the Gunnison River and re-vegetation work along the Tomichi River! Last year, RRAFT was awarded a grant from the CAN'D Aid Foundation and we are so excited to have this group in Gunnison to give back to our local community, and to show off our fancy new conservation-ready raft rig! RRAFT has partnered with Glen Canyon National Recreation Area and the Southwest Conservation Corps for the third year in a row to continue conservation work in Cataract Canyon in Utah. This year we will support a crew to carry out invasive plant management and infestation removal, capture and monitor native bat species with acoustic equipment, and map native and non-native plants in the canyon. This fall RRAFT has partnered with the Uncompaghre Project to continue Russian Olive removal efforts in the Lower Gunnison Gorge National Conservation Area. We will target areas along the lower stretches of the river towards Delta, CO that are only accessible by boat (our specialty!). The riverbanks on this section of river are starting to look a lot less crowded and we hope to rid the shores of Russian Olive this year to prevent the spread of this invasive species further up into the Gunnison Gorge Canyon and along the North Fork of the Gunnison.